Authority, in the sense in which the word is used here, means: the imposition of the will of another upon ours; on the other hand, authority presupposes subordination. Now, since these two words sound bad, and the relationship which they represent is disagreeable to the subordinated party, the question is to ascertain whether there is any way of dispensing with it, whether — given the conditions of present-day society — we could not create another social system, in which this authority would be given no scope any longer, and would consequently have to disappear. On examining the economic, industrial and agricultural conditions which form the basis of present-day bourgeois society, we find that they tend more and more to replace isolated action by combined action of individuals. Modern industry, with its big factories and mills, where hundreds of workers supervise complicated machines driven by steam, has superseded the small workshops of the separate producers; the carriages and wagons of the highways have become substituted by railway trains, just as the small schooners and sailing feluccas have been by steam-boats. Even agriculture falls increasingly under the dominion of the machine and of steam, which slowly but relentlessly put in the place of the small proprietors big capitalists, who with the aid of hired workers cultivate vast stretches of land. Everywhere combined action, the complication of processes dependent upon each other, displaces independent action by individuals. But whoever mentions combined action speaks of organisation; now, is it possible to have organisation without authority? Supposing a social revolution dethroned the capitalists, who now exercise their authority over the production and circulation of wealth. Supposing, to adopt entirely the point of view of the anti-authoritarians, that the land and the instruments of labour had become the collective property of the workers who use them. Will authority have disappeared, or will it only have changed its form? Let us see. If man, by dint of his knowledge and inventive genius, has subdued the forces of nature, the latter avenge themselves upon him by subjecting him, in so far as he employs them, to a veritable despotism independent of all social organisation. Wanting to abolish authority in large-scale industry is tantamount to wanting to abolish industry itself, to destroy the power loom in order to return to the spinning wheel. Let us take another example — the railway. Here too the co-operation of an infinite number of individuals is absolutely necessary, and this co-operation must be practised during precisely fixed hours so that no accidents may happen. Here, too, the first condition of the job is a dominant will that settles all subordinate questions, whether this will is represented by a single delegate or a committee charged with the execution of the resolutions of the majority of persona interested. In either case there is a very pronounced authority. Moreover, what would happen to the first train dispatched if the authority of the railway employees over the Hon. passengers were abolished? When I submitted arguments like these to the most rabid anti-authoritarians, the only answer they were able to give me was the following: Yes, that’s true, but there it is not the case of authority which we confer on our delegates, but of a commission entrusted! These gentlemen think that when they have changed the names of things they have changed the things themselves. This is how these profound thinkers mock at the whole world. Why do the anti-authoritarians not confine themselves to crying out against political authority, the state? All Socialists are agreed that the political state, and with it political authority, will disappear as a result of the coming social revolution, that is, that public functions will lose their political character and will be transformed into the simple administrative functions of watching over the true interests of society. But the anti-authoritarians demand that the political state be abolished at one stroke, even before the social conditions that gave birth to it have been destroyed. They demand that the first act of the social revolution shall be the abolition of authority. Have these gentlemen ever seen a revolution? A revolution is certainly the most authoritarian thing there is; it is the act whereby one part of the population imposes its will upon the other part by means of rifles, bayonets and cannon — authoritarian means, if such there be at all; and if the victorious party does not want to have fought in vain, it must maintain this rule by means of the terror which its arms inspire in the reactionists. Would the Paris Commune have lasted a single day if it had not made use of this authority of the armed people against the bourgeois? Should we not, on the contrary, reproach it for not having used it freely enough? Therefore, either one of two things: either the anti-authoritarians don’t know what they’re talking about, in which case they are creating nothing but confusion; or they do know, and in that case they are betraying the movement of the proletariat. In either case they serve the reaction. It is fashionable to portray Marxism as the source of authoritarianism. This accusation is raised repeatedly by anarchists, reformists and all kinds of opportunists. Bakunin was one of the more famous exponents of such accusations. But the truth is concrete and the historical facts reveal that those same elements who raise a hue and cry about authoritarianism are themselves the worst bureaucrats and authoritarians… where they manage to rule the roost. There have been many splits in the history of the Marxist movement. The enemies of Marxism seize upon this fact as proof of an inherent weakness, an intolerant spirit, excessive centralism, bureaucratic and authoritarian tendencies and so on. In fact, periodic crises and splits are an inevitable consequence of development. Crises are a fact of human existence: birth is a crisis, as is adolescence, old age and death. Weak individuals will allow a crisis to drag them under. Men and women of stronger character will overcome the crisis and emerge stronger and more confident than before. It is the same with a revolutionary tendency. The movement must constantly strive to rid itself of sectarian and opportunist tendencies, which partly reflect the pressures of alien classes, partly the inability of a layer of the organization to advance to a higher stage of development. This was the case in the First International, or International Workingman’s Association (IWA), when Marx and Engels were obliged to wage a ferocious struggle against the followers of the anarchist Bakunin. The document that we recently published in instalments, Fictitious Splits in the International is a useful reminder of the differences between Marxism and anarchism. We believe it deserves a careful reading for the lessons it has for Marxists today. Bakunin’s intrigues against the General Council began in 1871, although he was in contact with Marx before that. In 1864 he met Marx in London, from whom he learned of the founding of the International. He promised to co-operate. However, Bakunin held the view that that Marx exaggerated the importance of the working class, while he held that the intelligentsia, the students, the lumpenproletariat and the middle classes representatives of bourgeois democracy more likely agents of revolution. For this reason, Bakunin began his activity, not in the workers’ movement but in a bourgeois organization in Switzerland called The League for Peace and Freedom (Ligue de la Paix et de la Liberté). He was actually elected to its central committee. He thought he could take over the League and use it as a vehicle for advancing his anarchist doctrines. But at the League’s Berne Congress he failed to make any impact and split away with an insignificant minority. It was only at this point, having fallen out with and split from, the bourgeois League that he entered the Romande Section of the IWA in Geneva. That was at the end of 1868. Bakunin hit on the idea of forming inside the IWA an anarchist faction with himself as leader. For this purpose, he established the “Alliance of Social-Democracy”. His aim was to get control of the IWA and foist his anarchist ideas upon it. But he had a serious problem: the International was led by the General Council in London where Marx had considerable influence. In order to achieve his aim therefore, Bakunin had to undermine the General Council and blacken the name of Marx. This he did with no regards to the democratic rules of the International, by factional intrigues and personal attacks. These intrigues, directed ostensibly against the General Council were in reality directed against the International itself, the ideas, methods and programme of which Bakunin was fundamentally opposed to. Marxism and anarchism are completely opposed and mutually exclusive ideologies. The first is a scientific theory and a revolutionary policy reflecting the class interests of the proletariat. Anarchism is a confused and unscientific doctrine that finds its class base in the petty bourgeoisie and the lumpenproletariat. This is not the place to deal in detail with the ideas of Bakunin, although we may return to this topic in the future. His programme (insofar as it existed) was a superficial mishmash of ideas taken from Proudhon, St. Simon and other utopian socialists. Above all, he preached abstention from the political movement – an idea that he also took from Proudhon. These confused ideas got a certain echo in Italy and Spain, where capitalism was still in an embryonic state and the workers’ movement still poorly developed, and to some extent in French Switzerland and Belgium. In countries like Britain and Germany it made little progress. In the ranks of the First International it was a small minority. The prevailing influence in the leadership of the International Workingmen’s Association (the General Council, based in London) was that of Marx and Engels. To this very day there are people who repeat the arguments of Bakunin as if they were good coin. In particular, the arguments that Marxism is “authoritarian” and dictatorial, and that a centralized revolutionary organization crushes the freedom of the individual, stifles all creative thought and prepares the way for totalitarian dictatorship, are frequently repeated by the critics of Marxism, although they were answered long ago by Marx and Engels. It was Bakunin, not Marx, who engaged in dictatorial Machiavellian politics, intriguing behind the backs of the International in order to discredit its leaders in order to disorganize it to set up a rival organization. It was Bakunin, not Marx, who associated with the likes of Nechayev. Together with the latter he wrote pamphlets on a new social order, to be created “by concentrating all the means of social existence in the hands of Our Committee, and the proclamation of compulsory physical labour for everyone”. Should the revolutionary party mirror the future society? Another oft-repeated argument of the anti-authoritarians is that a centralised, disciplined party cannot lead to genuine socialism and must lead to totalitarian dictatorship. How many times have we heard this? How many times have we been told that Stalinism is the inevitable product of Leninist centralism? Some kind of decision-making structure is necessary at any level of human co-operation or organization. In any community, I must necessarily sacrifice part of my freedom to others. Even in the future classless society, people will still have to make decisions, which will be the decisions of the majority. And under capitalism, the workers must organize collectively to fight to defend their interests. How is this to be done, unless the minority submits to the will of the majority? It is a regrettable fact that sometimes people do not agree. What are we to do in such circumstances? History has never produced any better instrument for expressing the popular will than democracy. True, even the most perfect democracy has its limitations, but to date nobody has ever proposed anything more prefect. What is the alternative? “Consensus”? But that only means the law of the lowest common denominator. Or perhaps the solution is that all decisions must be unanimous? That is the most undemocratic method of all, since the opposition of just one individual can paralyse the will of the majority: in other words it is the right of veto – the dictatorship of a single individual! The middle classes are used to individualistic methods and have an individualistic mentality. An assembly of students can debate for hours, days and weeks without ever coming to a conclusion. They have plenty of time and are accustomed to that kind of thing. But a factory mass meeting is an entirely different affair. Before a strike, the workers discuss, debate, listen to different opinions. But at the end of the day, the issue must be decided. It is put to the vote and the majority decides. This is clear and obvious to any worker. And nine times out of ten the minority will voluntarily accept the decision of the majority. In reality, anarchist organizations (surely a contradiction in terms?) always suffer from the most extreme bureaucracy, because someone has to take decisions. Who are they? In practice, decisions are taken “spontaneously” by self-appointed groups that are elected by nobody and responsible to nobody – that is to say, government by cliques. That was the method of the Bakuninists in the IWA. Behind the backs of the membership, they organized an intrigue under the slogan of combating the “authoritarian” General Council. One might add that the same people who were allegedly waging a struggle for democracy and against authoritarianism, were elected by nobody and responsible to nobody. The General Council was the elected leadership of the International. The Bakuninist Alliance was self-appointed and functioned outside the democratic structures of the International. Its members represented only themselves, although their activities were organized and orchestrated by the man referred to as “Citizen B” (Bakunin), who in reality decided everything. Bakunin was an unprincipled adventurer who was constantly scheming and intriguing to boost his own position and prestige. For him theory was always a secondary consideration: merely a means of his personal self-assertion. There have been many such people in the movement both before and since. “He – a man devoid of theoretical knowledge – put forward the pretension that this separate body was to represent the scientific propaganda of the International, which was to be made the special function of this second International within the International. “[…] If he is a nonentity as a theoretician, he is in his element as an intriguer.” (Letter to Friedrich Bolte, 3 November 1871). The Alliance was characterized by radical-sounding verbiage. It declared war upon God and the State and demanded that all its members be atheists. Its economic programme was confused and ambiguous. Instead of fighting for the abolition of class society, it demanded the equality of all classes. Instead of the expropriation of the means of production, it limited itself to a demand for the abolition of the right of inheritance. And in order not to frighten away the middle class and liberal bourgeois, it was careful not to define clearly its class character. Marx was not impressed. Up to the end of 1868 his attitude toward Bakunin was that of extreme tolerance. 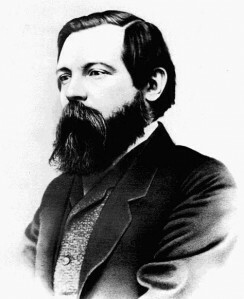 He had welcomed Bakunin as a collaborator in 1862. Now he was suspicious of the latter’s motives – and he was not wrong. Let us remember that only four years earlier Bakunin had written from Italy promising to work for the International. Not only did he not keep his promise, but he devoted all his energies into promoting a rival bourgeois movement, the League for Peace and Freedom. Only after his efforts to take over that organization had failed did he turn his attention to the International, which was now obviously growing in strength and influence. The General Council refused the Alliance’s request, and Bakunin resorted to a manoeuvre. He announced that the Alliance would disband and transform its sections, (which would continue to hold to their own programme) into sections of the International. After these assurances, the General Council agreed to admit the sections of the former Alliance into the IWA. The Alliance claimed to have dissolved on the 6th of August and informed the General Council of this. But a few weeks later it reappeared in the guise of a new “Section of Revolutionary Socialist Propaganda and Action,” which declared itself in agreement with the general principles of the International, but reserved itself the right to make full use of the freedom which the Statutes and the congresses of the International afforded. It did not take Marx long to conclude that Bakunin had deceived the General Council. Despite having officially disbanded his society, he maintained its central organization intact for the purpose of taking over the International. Subsequent events proved that the Alliance continued to exist. It conducted a continuous guerrilla war against the International under the guise of fighting the “authoritarianism” of the General Council. For this purpose Bakunin and his followers did not hesitate to resort to any means, even the basest slanders and the most dishonest intrigues. It is not difficult for professional intriguers to influence honest party activists. When dealing with this kind of individual, naive honesty is a definite disadvantage, since honest people cannot recognize an intrigue. They take things at face value and believe what is said to them, since they have no reason to suspect the other person’s motives, believing them to be honest party workers themselves. The way in which they set to business, was characteristically dishonest. They sent their new programme, placing Becker’s name at the head of the signatures, thus hiding behind the moral authority of a veteran of unquestionable honesty. Then, behind the backs of the General Council they sent emissaries to Paris, Brussels, etc. (In those days they did not possess the Internet, which would have saved them a lot of time and effort). Only in the last moment, did they communicate the documents to the London General Council. The General Council took action to stop these factional intrigues. On 22 December 1868, a unanimous decision of the General Council declared the rules of the Alliance laying down its relations with the International Working Men’s Association null and void and refused the Alliance admittance as a branch of the International Working Men’s Association. All the branches of the IWA approved the decision. Becker was resentful towards Marx for this, but, as Marx wrote to the Lafargues: “with all my personal friendship for Becker I could not allow this first attempt at disorganizing our society to succeed.” (Marx To Paul and Laura Lafargue, 15 February 1869). Bakunin reacted by declaring that the Alliance was “dissolved”, when in fact it remained in being as a secret organization working behind the backs of the International. An indication of Bakunin’s adventurism was his association with the notorious Russian terrorist Nechayev, who was tried for the murder of a young student member of his group in Russia and ended his life in a tsarist prison, having seriously compromised the revolutionary cause. 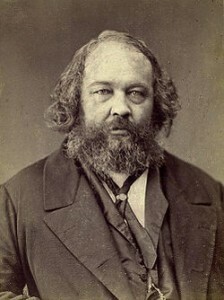 It was partly to divert attention away from this scandal that Bakunin intensified his attacks on Marx and the General Council. This is a completely false conception of the class struggle. The working class can only learn through struggle. Without the day-to-day struggle for advance under capitalism, the socialist revolution would be impossible. The struggle for reforms, higher wages, better conditions, a reduction of working hours, etc. creates more favourable conditions for the class organization of the proletariat. At a certain historical stage, the economic struggles of the working class necessarily become political, as in the fight for democratic rights, freedom of speech and assembly, the right to strike, the right to vote etc. It is unthinkable that the working class could remain indifferent to such questions. The slogan of political abstentionism merely means that the working class would remain politically subordinate to the parties of the liberal bourgeoisie, as the example of England already showed clearly. In order to achieve independence from the bourgeoisie in the political sphere the proletariat must fight for its own independent political party. That was why Marx considered the political struggle and the political organization of the proletariat for the conquest of political power indispensable. But for the Bakuninists this was a book sealed by seven seals. As we have seen, Bakunin’s adventurism was completely exposed by the Nechayev affair. Nechayev was a young fanatic, a revolutionary adventurer who turned up in Geneva in the spring of 1869, claiming to have escaped from the fortress of St. Peter-Paul. He also claimed to represent an all-powerful committee that would overthrow Tsarist Russia. This was a pure invention. He had never been in St. Peter-Paul and the committee never existed. In the autumn of 1869 Nechayev returned to Russia with a plan to set up a Bakuninist group there. There is no doubt that he went with Bakunin’s full support. He carried with him a written authorization from Bakunin which declared that he was the “accredited representative” of a so-called European Revolutionary Alliance – another invention of Bakunin. He even issued an appeal to the officers of the tsarist army calling on them to place themselves unconditionally at the disposal of the “committee”, although it did not exist. When a member of Nechayev’s group, a student called Ivanov, began to doubt the existence of the secret committee, Nechayev murdered him. This led to numerous arrests, but Nechayev himself managed to avoid arrest. The Nechayev trial opened in St. Petersburg in July, 1871 and the whole ghastly affair was publicly exposed. There were over eighty accused, mostly students, Nechayev himself having conveniently escaped to Geneva. The Nechayev affair did a lot of damage to the movement in Russia and internationally. It affected the IWA because Nechayev let people believe that he was acting in the name of the International, whereas in fact he was an agent of Bakunin. Later, in order to explain away this wretched affair and absolve Bakunin from his personal responsibility for it, it had been claimed that Bakunin fell under the influence of Nechayev who tricked him and used him for his own purposes. It was at Basle that Bakunin first made his appearance, and his faction was well represented there. But as he was still feeling his way, he was cautious about putting forward his real programme. Ironically, the same Bakunin who had always been violently opposed opportunism, confined himself to demanding the immediate abolition, not of private property, but of the right of inheritance. As usual, Bakunin stood everything on its head. It is not the right of inheritance that is responsible for private property, but the existence of private property that gives rise to the right of inheritance. After the seizure of power, the proletariat will deal with this question, along with many other related secondary issues. But the main task is the expropriation of large-scale private property through the nationalization of the land, the banks and private monopolies. But this is a political act, and therefore anathema to the anarchists. To propose the abolition of the right of inheritance in general, apart from its clearly utopian character, leaves out of account the fact that a large part of the middle class, peasants and even a section of the working class would be affected. A workers’ state would not expropriate the small property owners, but only large scale private property. In the meantime, it would be sufficient to impose a heavily graduated tax on wealth and limit the right of inheritance. For Bakunin, however, these concrete circumstances were irrelevant. His scheme of social revolution was a pure abstraction, outside of time and space. As usual, his empty demagogy only served to sow the maximum confusion. When the question was put to the vote neither of the resolutions won a sufficient majority, and the whole affair was left in a confused state, which was the inevitable result of the anarchists’ “theoretical” interventions. Having made a bid mess, Bakunin then forgot about the right of inheritance and passed onto something else. This was absolutely typical conduct on his part: a) beat the drum loudly on some issue or other, b) cause the maximum confusion, c) move on to some other matter. The disorganizing results of this conduct are self-evident. It is interesting to note that the “authoritarian” structures of the International that Bakunin protested against so vehemently in 1871 and 1872 were introduced to the International on the motion of Bakunin’s supporters, with Bakunin’s support. That was at a time when he was aiming to gain control of the International. Only when this plan failed did Bakunin suddenly discovered the “authoritarian” character of the International’s structure and rules. Bakunin always ruled his own faction, the Alliance, with a rod of iron. Certainly, the charge of authoritarianism and dictatorial tendencies can with far greater justice be directed against Bakunin than against Marx. About this time Wilhelm Liebknecht and August Bebel, after a sharp factional struggle with the Lassallean Schweitzer, had succeeded in establishing a separate party at the Eisenach convention (1869) based on the programme of the International. Bakunin’s activity in the League for Peace and Freedom were discussed and rejected by this party congress. The next Congress was supposed to take place in Germany but it could not be convened. Immediately after the Basle Congress tensions between France and Prussia were deteriorating fast and the outbreak of war was imminent.